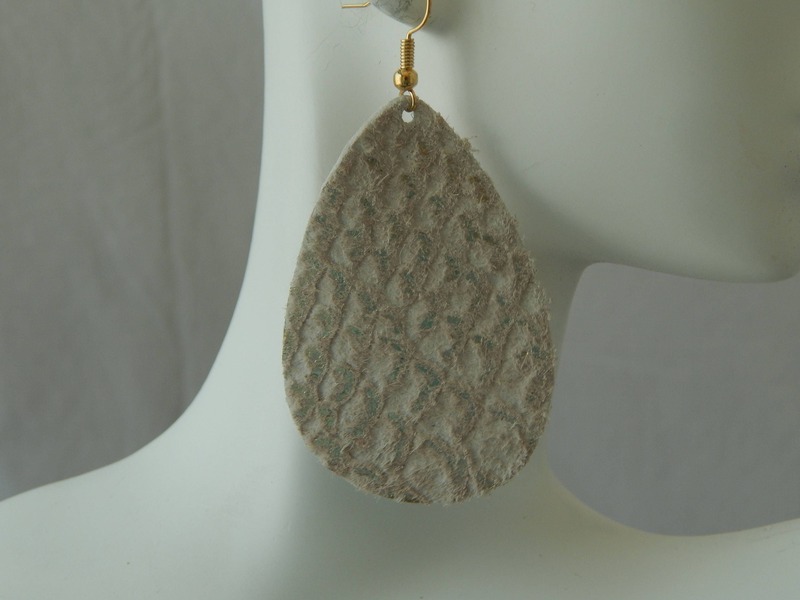 White suede with hints of gold suede earrings hang from sterling silver earwires. 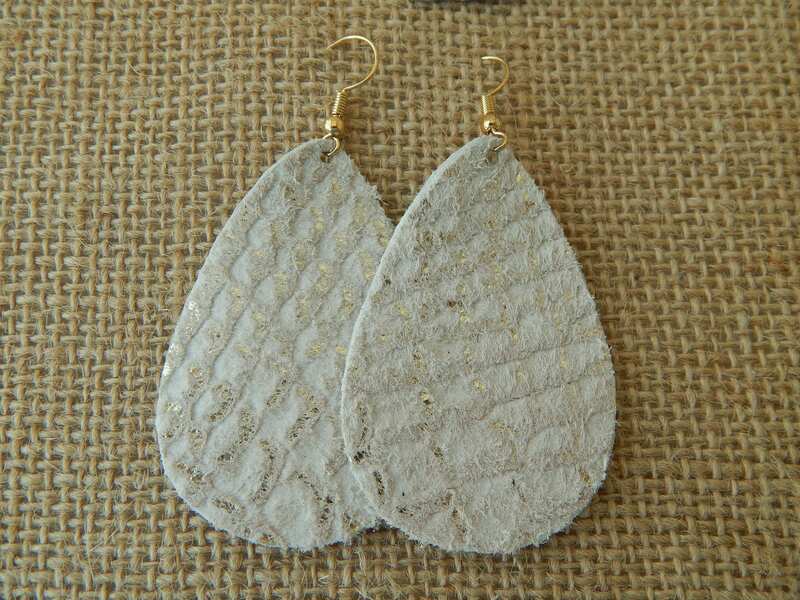 The neutral colors of the leather will easily match any outfit and the gold in the suede will add a touch of shimmer. Super light weight and comfortable to wear everyday. Total length of earring with earwire is 2.5 inches. 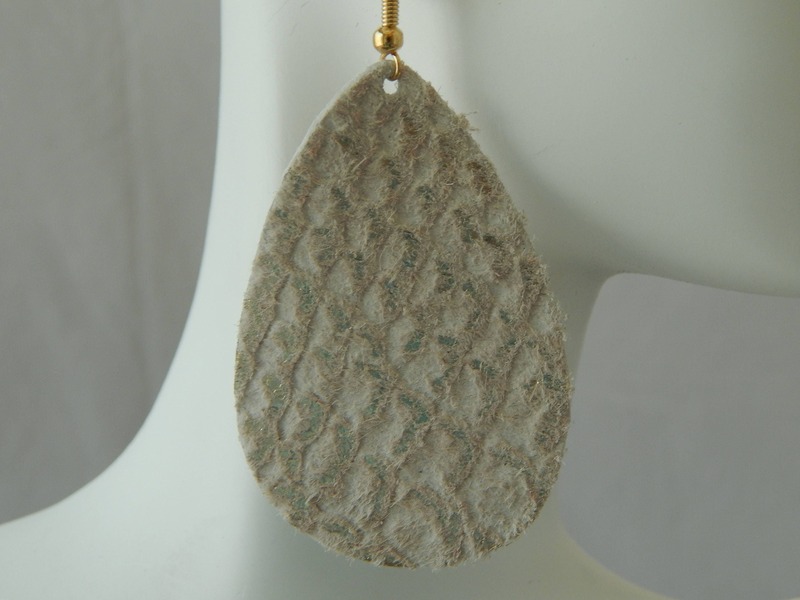 Available in 18kt gold plated, sterling silver, or gold filled earwires.